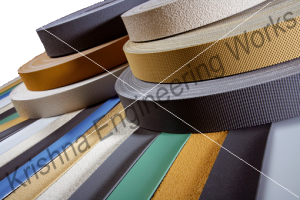 We have been successfully manufacturing, exporting & supplying all types of Rubber Fillet, Rubber Rollers, Rubber Grips since last 25 years from Ahmadabad, India. We are winner of 3 times National Award and 2 times International Award for Quality manufacturing. KEW Manufacturers, exports & supplies Paper Core Cutter Machine with high production.